First of all, thank you to those who have stuck with me during my dry spell of blog posts. I think I may have found a medication that’s allowed me to feel a little better. We’ll see how it goes. Anyway, if you follow me on Twitter or Facebook, you may have noticed that I have a coloring book. Some wonderful lady got it for me and it’s been helpful during this period of not really having a brain. It is very relaxing and not having to to think about what I’m doing too much, just grabbing a color and filling in an already made design is very nice. I have a few tips for you if you’re wanting to get started with this. Choosing Your Coloring Book. There are many to choose from. The one you go with will depend on personal taste, but if you’re buying online make sure to look in a few pages. Amazon lets you do this. The cover doesn’t always give you an accurate representation of what’s actually in the book. Also, if you’re not quite ready to buy a book yet, you could print out free pages online. There are Pinterest boards dedicated to this. What To Color With. The obvious is colored pencils, but you can also use markers, gel pens, etc. As long as it has a fine tip. Adult coloring books tend to have a lot of detail. It doesn’t have to be artist grade. You’re just coloring in a coloring book. Not making sellable art pieces. Make A Color Chart. Making a color chart will make it easier to see all the colors you have and choose which one you want, and many things have a bad habit of the casing not looking exactly like the actual color. Easy To Use Case. If you’re using colored pencils, the box yours came in may not be very easy to use. Especially as your pencils get smaller. You can find colored pencil cases that zip close and keep all your pencils in order. It’s also very portable. That way you can easily carry it from room to room. Have a Nice Pencil Sharpener. It doesn’t have to be anything fancy. Mine is a simple hand held sharpener and I use a plastic bag to catch all the shavings. Just make sure it sharpens nicely. Otherwise, you’ll be frustrated with a sharpener that doesn’t work. Have a Flat Surface. That doesn’t mean; color on the table. Put a hard book under your project. You could also use you pencil case if it’s sturdy enough. Have Fun. You’re not doing a big art project. There’s nothing for you to worry about. Pick a color and make it beautiful. I may make a board on Pinterest of my finished pieces. So if you’re interested in those. Check out my Pinterest page. If you have problems with your brushes wearing out, or splaying out and becoming trees, here are three things not to do that will help reduce those problems. 1) Don’t leave them sitting in water. This will cause your brushes to wear out faster, and all the hairs will fall out. This is especially annoying when they fall out and stick to your painting. 2) Don’t stand them up to dry. Lay them flat instead. If you stand them up, the water collects in the barrel of brush and causes the “trees.” It’s particularly harmful if there’s still paint left in your water. 3) Don’t leave any paint next to the barrel of the brush. You want to get as much paint away from the barrel of the brush as possible. This isn’t as much of a problem for watercolor as it is for oil and acrylic. Also for oil and acrylic, you want to get long bristles for your small detail brushes, because it will be impossible to get the paint out that’s collected at the barrel. What other brush tips do you have? Let me know in the comments below! You may think there’s not much difference between watercolor paper, other than some being of higher quality, but that not the case. There are different textures, weights, and colors. That’s right, colors. You thought it was only white, but there’s traditional, bright white, extra white, and absolute white, and depending on the company it can a noticeable or not so noticeable difference. The color of the paper will effect the look of your painting. A cream tone paper will give a brown or muddy look to your painting. While a paper with a blue tint to it will make your yellows look slightly green. So depending on what you’re trying to achieve, you may choose different papers at different times. Many people are familiar with the different textures; rough, hot press, and cold press, but they’re not as familiar with what they’re just suited for. Rough paper is the most grainy, and generally not good for fine detail, but since it is so smooth many people, especially beginners, have problems with paint sliding around. Cold press is the most popular because it allows for the fine detail, but also has some texture to it. Also with all of that, there’s a “right” and “wrong” side of the paper. The “right” side is more textured than the other, so the “wrong” side would allow more fine detail. Then there’s also weights of papers; 90lbs, 140lbs, 260lbs, and 300lbs. Thinner paper needs to be stretched so that it doesn’t buckle when painting. The weight you’ll need in order to not stretch it will be different depending on how you paint, but for many people, they need at least 260lbs. Stretching a piece of paper isn’t the end of the world, but you may need a heavier weight in order for it to take the amount of layers you want, and if you tend to abuse your papers, you definitely will want a heavy paper. So now that you’ve figured out the color, texture, and weight, now it’s time to buy the paper, but do you buy a roll, individual sheets, a pad, or a block? These are the questions you need to ask. How much paper do you use? How do you paint and what sizes do you use? How much are you willing to spend? Rolls are nice because you can cut the paper to whatever size you want. So if you’re using a lot of various sizes this might be a better option for you than buying tons of different pads. Sometimes you get get deals on bulk individual sheets verses buying pads or blocks. This is usually only an option for the artist grade paper. Pads are the most commonly used and sold just because they’re convenient and cheap. They store easy and you can tear off the page or keep it on. Blocks are more expensive, but they have the convenience of not having to be stretched since they are attached on all sides. If that’s something important to you, and you’re willing to pay for it, blocks could be an option for you. However you can’t pull it off until it’s dry, so you can only work on one painting at a time unless you get more than one. 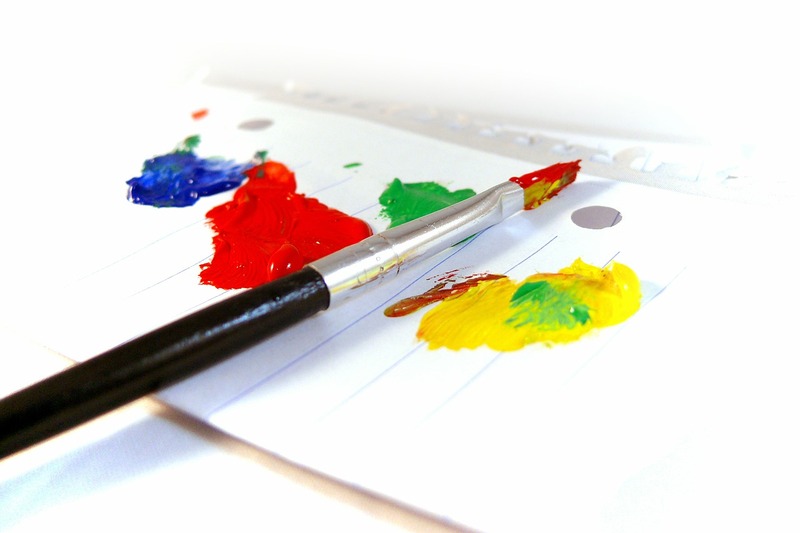 It all depends on your personal preference and style of painting as what paper you use. I still wouldn’t recommend using anything less than acid-free. After that, you can use a matte spray varnish if you wish. If you’re just starting watercolor, finding a cold press 140lbs paper should work out nicely for you. After that you can try experimenting to see if there’s something you like better.